This book is one of two volumes meant to capture, to the extent practical, the sci- ti? c legacy of the Cassini-Huygens prime mission, a landmark in the history of pl- etary exploration. As the most ambitious and interdisciplinary planetary exploration mission ? own to date, it has extended our knowledge of the Saturn system to levels of detail at least an order of magnitude beyond that gained from all previous missions to Saturn. 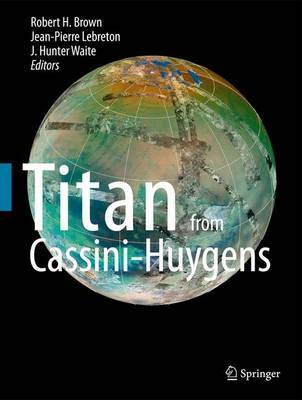 Nestled in the brilliant light of the ne w and deep understanding of the Saturn pl- etary system is the shiny nugget that is the spectacularly successful collaboration of individuals, organizations and governments in the achievement of Cassini-Huygens. In some ways the partnerships formed and lessons learned may be the most enduring legacy of Cassini-Huygens. The broad, international coalition that is Cassini- Huygens is now conducting the Cassini Equinox Mission and planning the Cassini Solstice Mission, and in a major expansion of those fruitful efforts, has extended the collaboration to the study of new ? agship missions to both Jupiter and Saturn. Such ventures have and will continue to enrich us all, and evoke a very optimistic vision of the future of international collaboration in planetary exploration.